Most Jews and Protestants consider the Masoretic Text the authoritative Hebrew Bible (Protestants call it the Old Testament). While it was written sometime between the seventh and tenth centuries AD, it was based on the meticulously preserved oral tradition and the best available manuscripts of the original Hebrew text. Most English translations of the Old Testament are based on the Masoretic Text. The Masoretic Text was an answer to a problem that had been building in the Jewish community for centuries: biblical Hebrew was ambiguous, and most Jews didn’t know how to read it anymore. With no vowels, punctuation, or stress marks, the original Hebrew left a lot of room for interpretive errors. And as biblical Hebrew fell out of usage, the Scriptures became virtually inaccessible to the public. Rabbis were still confident in the combination of written and oral tradition and took steps to make them more accessible without corrupting the original Hebrew texts. 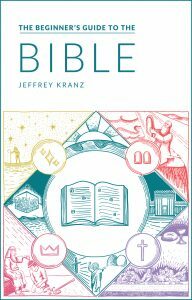 But by the ninth century, Jewish tradition was being engulfed by Greek philosophy, and a popular Jewish sect known as the Karaites (“readers”) was advocating for Jews to abandon the rabbinic tradition and read the “unadulterated” (or rather, uninterpreted) Hebrew Bible. This included the rabbinical traditions that removed ambiguity from the ancient Hebrew, which most Jews could no longer read or understand. To save the Hebrew Bible from dissolving into competing interpretations, a group known as the Masoretes (traditionalists) produced a new copy of the original Hebrew, working from the best available manuscripts, just as countless others had—but with a twist. They used rabbinic tradition to add the most intricate system of punctuation and stress marks anyone had ever seen, obliterating ambiguity once-and-for-all. The Masoretic Text so rigidly defined the Hebrew Bible’s punctuation and wording that there could only be one way to read and understand it: the same way rabbis had for centuries. While the Masoretic Text was completed rather late (the oldest copies we have of the Masoretic Text are from ninth century), it was the culmination of several centuries of work. Back in 70 AD, the First Jewish-Roman War came crashing to an end when the Romans lay siege to Jerusalem and destroyed the Second Temple. Countless manuscripts of the Hebrew Bible (the Tanakh) were lost in the aftermath. Determined to preserve Scripture, the Jews established multiple academies, where countless rabbis studied the Hebrew Bible and the memorized oral tradition in a highly collaborative environment. Likely fueled by fear that important Jewish teachings could be lost forever, the rabbinic community began a forbidden project: transcribing the oral tradition. While not explicitly discussed in Scripture, the “oral Torah” was considered authoritative, because it too was handed down from God, to Moses, to the Israelites. While it might sound like an ancient game of “telephone,” the oral tradition was carefully preserved, passed on to each generation of rabbis through rigorous repetition and memorization. The oral tradition applied the Hebrew Bible to everyday life and various legal situations. Rabbis did more than simply memorize the Old Testament: the oral tradition included quotes from Scripture and gave it a specific context, which helped Jews understand how it affected their lives. At the various Jewish academies, numerous rabbis worked to transcribe the oral tradition into a text everyone agreed was authoritative. Sometime in the early third century, they completed the Mishnah (“study by repetition”), the first written collection of the Jewish oral tradition, organized around 63 topics. The oral tradition ensured that rabbis knew how to apply each passage, pronounce each word, and stress each syllable. The Mishnah preserved the oral tradition in written form and helped lay the groundwork for clarifying how to read and pronounce the biblical Hebrew. About a millennium before the Masoretic Text was finished, rabbis began notating the original Hebrew with punctuation and additional letters to help readers correctly interpret the text. These notations were informed by the oral tradition. But by the time the rabbinic community clarified the ancient Hebrew manuscript, there was a new problem: nobody else spoke or read ancient Hebrew anymore. So they developed a dot system to add vowels to the consonants, helping non-academics to read and understand the Scriptures. The Masoretes first came onto the scene in the sixth century, and they produced a more advanced system of punctuation and accents, building on previous scholarship to more precisely define how to read the text. Scholars aren’t sure when exactly the Jewish canon was established, but it likely occurred sometime between the second century BC and the third century AD. The Torah (the first five books of the Bible) had always been considered authoritative, and had been carefully copied and preserved. But the rest of the canon took longer to define, and so other books splintered off into multiple editions. Other early manuscripts like the Septuagint (a Greek translation of the Hebrew Bible) and the Dead Sea Scrolls appear to suggest that additional books may have been considered authoritative by some Jewish sects, but Jewish tradition holds that the Masoretic Text authentically represents the canon as it had been passed down. Regardless of when it was established, the Masoretic Text compiled the accepted versions of these books and only included texts the rabbinical community considered authoritative, formally defining the Jewish canon. 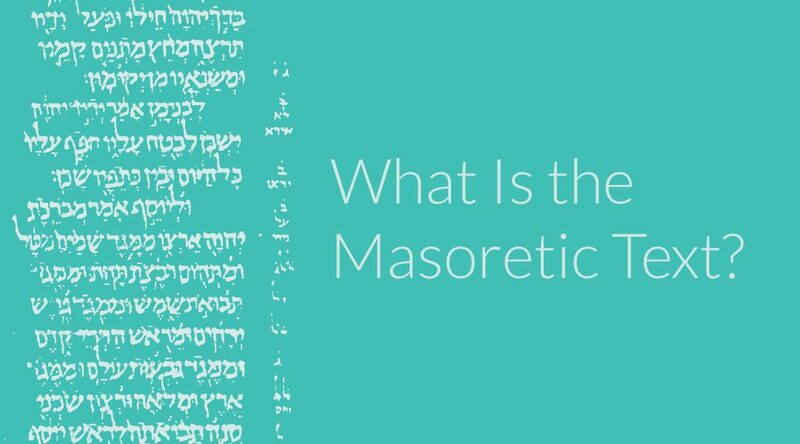 What books are included in the Masoretic Text? This is why the Hebrew Bible is also known by the acronym, TaNaKh: Ta (Torah), Na (Nevi’im), Kh (Ketuvim). The books of Masoretic Text look pretty different from most Christian Bibles. While there are 39 books in most Old Testaments, the Tanakh only has 24. Nobody added the extra 15 books to your Bible though. The texts are just divided differently. The Masoretes combined numerous books and reduced the total number to 24. 1 and 2 Kings are combined into one book, and so are 1 and 2 Samuel and 1 and 2 Chronicles. Nehemiah and Ezra are a single book as well. All twelve of the Minor Prophets are bundled into one book. In Hebrew, the books are frequently referred to by their well-known opening lines. 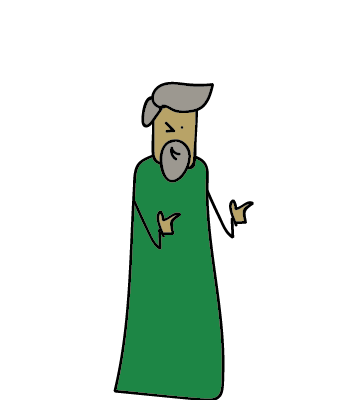 Unlike the Septuagint and the Vulgate, there are no “apocryphal” (non-canonical) or “deuterocanonical” (second canon) books included in the Masoretic Text. While the Masoretic Text is still widely embraced today, it’s had its share of controversy, too. Discrepancies between the Masoretic Text and the Septuagint have led some scholars (and entire traditions) to question the Masoretic Text’s authenticity and the degree to which it really reflects the Jewish canon. While we do have earlier copies of the Septuagint (predating the Masoretic Text by several centuries), and earlier manuscripts are usually closer to the original, the Masoretic Text was always believed to be a direct product of the Jewish tradition. These scribal edits have been used to argue that the Masoretes were working from flawed texts, which explains some of the discrepancies. However, this doesn’t lend credibility to the Septuagint, and while Jewish tradition readily admits these edits exist, it also attributes them to biblical writers (such as Ezra and Nehemiah) and scribes who were members of the Great Synagogue, where the canon was allegedly established in 450 BC. Since the New Testament writers (especially Paul) primarily refer to the Septuagint when quoting the Old Testament, some view the Masoretic Text (or perhaps the Hebrew manuscripts it was based on) as an attempt to discredit Christianity. It appears that the Masoretic Text doesn’t include this prophecy about the incarnation, which the author of Hebrews is clearly referencing. The Septuagint was widely in use at the time the New Testament was being written, as many Jews spoke Greek, not Hebrew. When the New Testament writers were speaking to a Greek audience, it makes sense that they used an accessible Greek translation, rather than inventing their own. The vast majority of these differences are very, very minor (spellings of names, etc.). Protestant doctrines don’t hinge on these textual differences. The discovery of the Dead Sea Scrolls in the twentieth century threw an interesting wrinkle in this debate. In a cave in Qumran, Bedouins and archaeologists discovered thousands of fragments of biblical manuscripts that predated the Masoretic Text by a millennium. Assembling the fragments, archaeologists pieced together hundreds of copies of Old Testament books, including every book from the Hebrew Bible (except Esther). These are the oldest surviving manuscripts of the Hebrew Bible, and what do they tell us? The Masoretic Text is remarkably reliable. And it appears that there were multiple ancient manuscripts, some of which the Septuagint was likely based on, which were not the same manuscripts the Masoretic Text was based on. However, the presence of multiple versions of the Hebrew Bible doesn’t tell us what the Jews considered authoritative—it only confirms they existed. And Jewish tradition tells us that it has always held the Masoretic Text as authoritative, even if it wasn’t compiled until around the tenth century. Without the Masoretes, it’s hard to say what our Bibles would look like today. Perhaps they’d all be based on the Septuagint, or they’d all be based on different versions of the Hebrew Bible. At a pivotal moment in history, when culture, popular teachings, and language itself threatened to erase centuries of tradition, the Masoretes found a way to keep that tradition in the spotlight. Building on the work of countless rabbis before them, the Masoretes solidified the wording of the Hebrew Bible once-and-for-all. This information has helped me enormously! My study of the Bible has lead me to many web sites and this page has been very insightful. Blessings! Thank You., I have always suspected that there were ‘edits’ or rather- in todays terms, ‘soft-soaping’ of certain terms and references in OT texts. Could it be that this was carried a bit further with Luther’s intentions for the Versio Vulgata? I recently came across a preacher who claims that the NT books are rearranged, that Acts is mis-placed in the timeline and that he suspects that 1 Thess. was actually the first book Paul wrote. Do you have any thoughts on this?